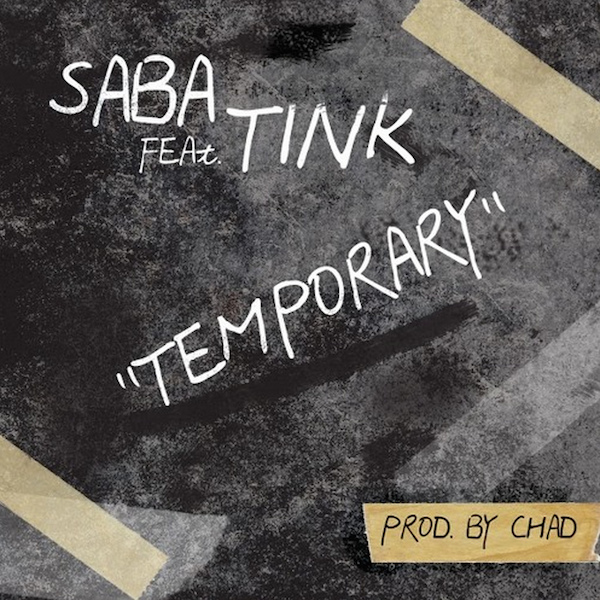 Saba ft. Tink - "Temporary"
Since unveiling his exceptional project last summer, 2014’s ComfortZone, Saba has done what he can to maintain a strong presence in our minds and timelines. Collaborations with fellow Chicago artists Martin $ky and Lucki Eck$ kept him buzzing in the winter. He later made a memorable appearance on The Social Experiment’s Surf (“SmthnThtIWnt”) upon that record’s release in May. “Temporary,” Saba’s latest effort, ranks among his best work. He looks around at all that surrounds him with mild trepidation and cynicism. Castles crumble, friends change, money only lasts so long. Tink, also an Illinois native and one of the recently selected XXL Freshmen, takes a more optimistic approach. It’s foolish to ever count someone out because if anything is capable of avoiding permanence, it’s always possible to recover from setbacks. Their differing vantage points balance out well over Chad’s dramatic production, driven by acoustic guitar and dramatic piano.